Saturday, November 21th, 2009 will see the Nnamdi Azikiwe University [UniZik] award Emmanuel Nnamdi Uba an honorary doctorate degree. About three years ago, Nnamdi Uba had donated a communication center for the Mass Communication department of UniZik in the memory of his father, Phil Uba. As expected, the award has generated many reactions. In the take of an Anambra State Assembly member, Hon. Ikenna Amaechi, "It is a very well deserved recognition for his contribution to the development of education in Nigeria". 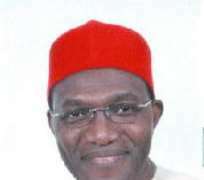 Dr Umeano, the former factional state chairman of the All Progressive Grand Alliance [APGA] adds that “Andy Uba built structures in University and therefore deserves any form of honor therefore". Similar views were espoused by the Chairman of an NGO based in Onitsha [Inter Society]. He adds, "My views is that if UniZik finds Uba worthy of being awarded a non-academic doctorate degree, so be it. We only raised an alarm over probation and reprobation by the judiciary". Also an Action Congress chieftain and a former member of the Anambra State House of Assembly who also was a student of UniZik, Bona Oraekwe adds, "I congratulate him for the honor well deserved. Wealthy Anambrarians should help develop our schools and state and not otherwise". However not all reactions were positive. In the words of the former governor of Anambra State, Dr. C. Mbadinuju, "It's a reward for evil". He continues that "The bible says in Gal. 6:7 that 'whatsoever a man soweth that he shall also reap'. So God's word cannot be harsh if they are reaping what they sowed". Adding to this tone is a member of the Anambra elder forum and a member of the royal family in Nri, Emeka Onyesoh. He adds, "Maybe he helped the new Vice Chancellor get his appointment. The nation has gone to the dogs. An insurance tycoon who has no 1st degree but is a lawyer of the old order, never practiced law, is a SAN and because he wrote a book on insurance law and ESUT invited him to lecture on insurance law as an adjunct professor for one semester, he now addresses himself as a professor long after his one semester tenure expired. A capital market operator who has never taught was rewarded with professorship because she raised 1billion Naira for NUGA games for UNN. What of the former NAFDAC Director General? Andy can give and raise 1billion Naira for UniZik for the doctorate!"